Posted in: Directing, Glee, Pictures. 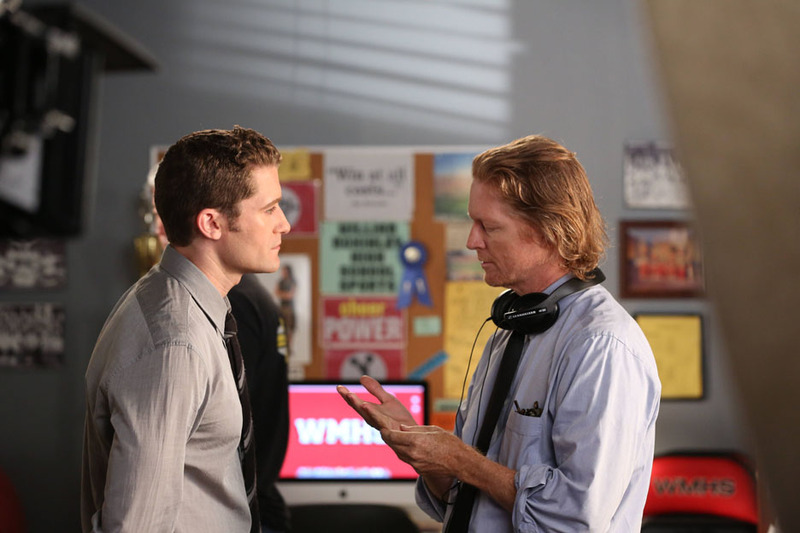 Eric directed tonight’s episode of Glee, “Makeover.” It airs at 9pm on Fox. Sarah Jessica Parker guest stars. If the source is correct, the photo is from earlier today (Aug. 11). I nabbed it from FY Glee Cast. Posted in: Directing, Glee, Video. Glee 3.19 “Prom-asaurus” airs tonight at 8 pm. Eric’s next episode, 3.21 “Nationals,” airs next week (May 15), probably at 9 pm.